Mr. Sools holds an MSc. 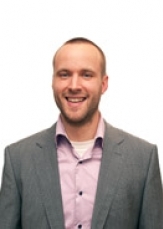 degree in Forest Ecology and Management (Wageningen University) and has been working as a forestry consultant at Form international for nearly 5 years. Mr. Sools has worked extensively on the preparation, implementation and management of projects related to forest certification, forest management planning, reforestation and forestry investments.